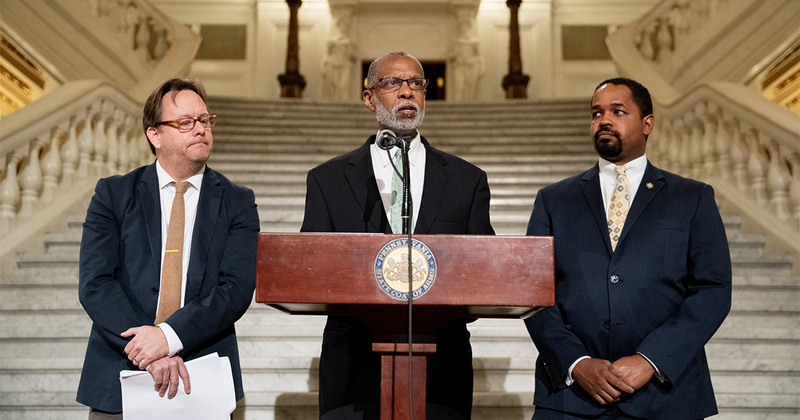 Harrisburg – October 2, 2018 – Sen. Art Haywood (D-Philadelphia/Montgomery) hosted a news conference on solutions to poverty this morning in the Main Rotunda of the State Capitol Building. 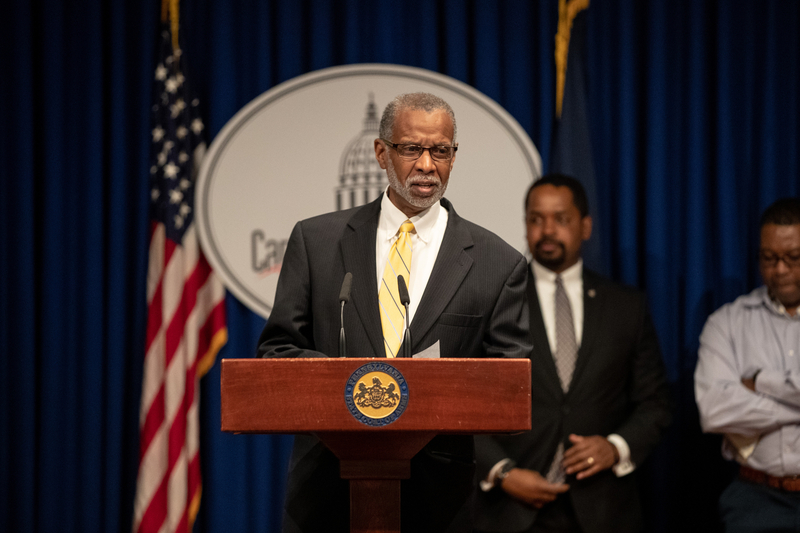 In response to recent news coverage in the Philadelphia Tribune, Senator Haywood addressed challenges for individuals facing poverty, including earning fair wages and the accessibility of childcare. Senator Haywood advocated raising the minimum wage to $15 an hour, an important step that would raise incomes above the poverty line for hundreds of families throughout Philadelphia. “Sometimes we act like we’re confused, like we don’t know what to do about reducing poverty, that it’s a mystery. 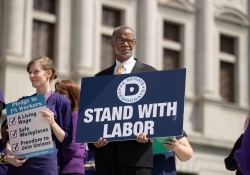 There is no mystery—raising the minimum wage will cut the poverty rate in Philadelphia by half.” said Haywood. “Research shows that putting more money in parents’ pockets has proved highly effective at improving child outcomes. Raising the minimum wage is one of the best ways to do this. A higher minimum wage would reduce the number of children living in poverty in the city of Philadelphia by 73,000. Access to good living wage jobs remains the critical first step to any effort to reduce poverty in the Commonwealth,” said Mark Price, Ph.D., Labor Economist from the Keystone Research Center. 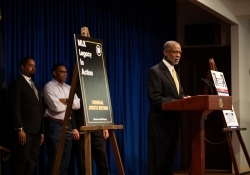 Senator Sharif Street (D-Philadelphia) joined Senator Haywood to offer his support for lifting Philadelphians out of poverty. “Across this Commonwealth, we have too many people living in poverty. Philadelphia is the poorest big city in America. There are many jurisdictions throughout the Commonwealth which also have significant numbers of people who go to work each day and struggle to make ends meet,” said Street. “Philabundance serves ninety thousand people each week and 62 percent are working poor. It is a misconception that food pantries primarily serve the homeless. The majority of our families have at least one person employed, but they don’t earn enough to make ends meet,” said Glenn Bergman, Executive Director of Philabundance. 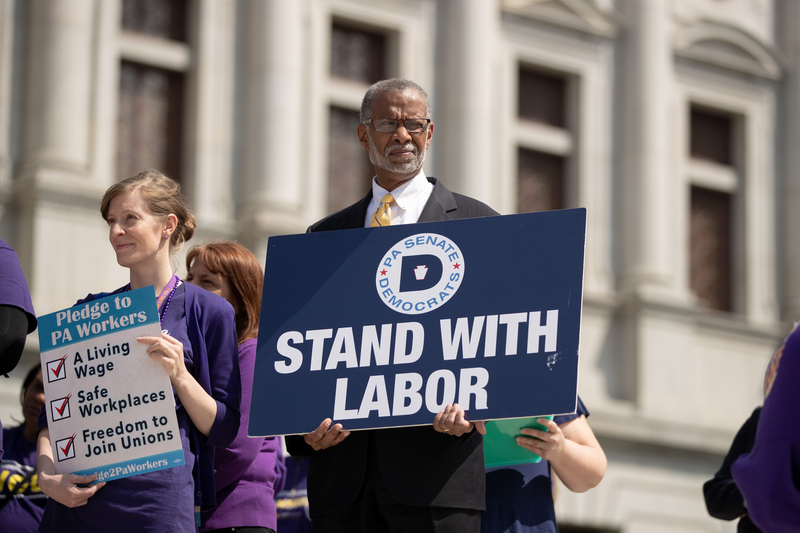 Diane Barber, Executive Director of the Pennsylvania Child Care Association, underscored the challenges faced by minimum-wage households at finding quality child care in the state. 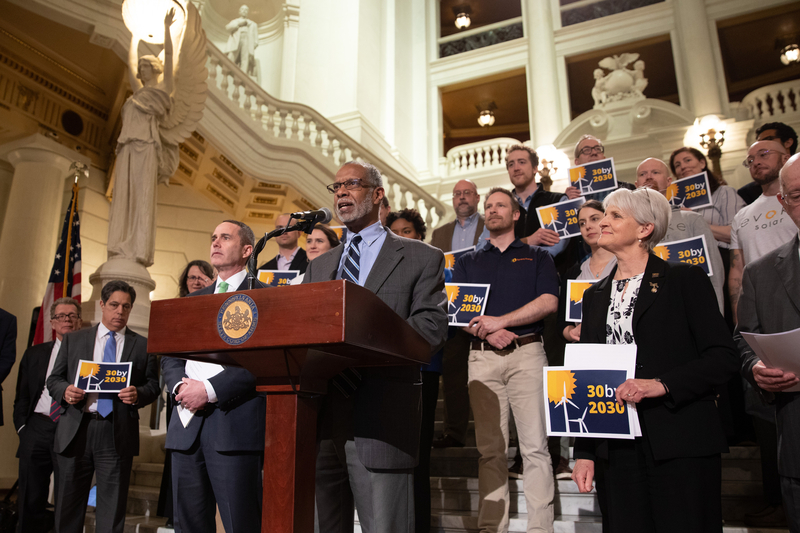 “Pennsylvania Partnerships for Children estimates nearly 500,000 children under age five need child care in Pennsylvania, so their parents can reliably participate in the workforce and financially support their families. Receiving child care subsidies helps families by assuring that their children are in safe and dependable care,” said Barber. 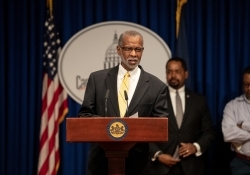 Senator Haywood has been a strong supporter of raising the minimum wage throughout his tenure in the Pennsylvania Senate. 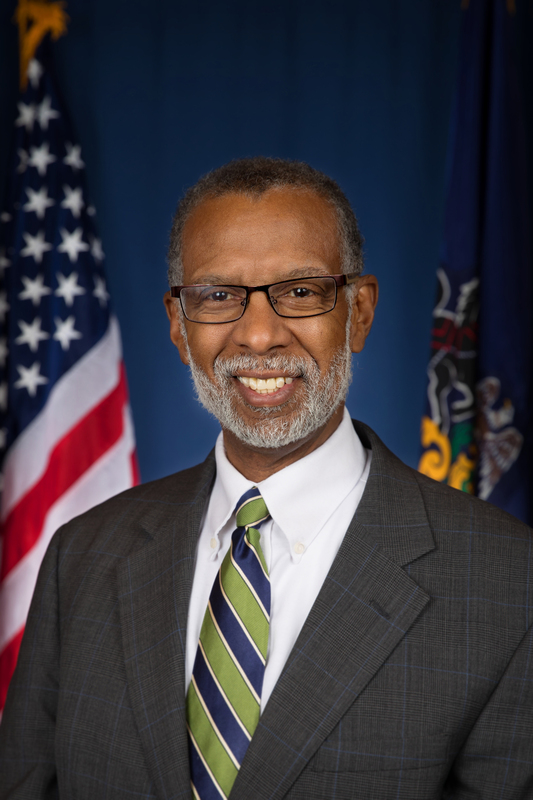 Senator Haywood played a key role in CVS Pharmacy raising wages for their employees in April to $11 an hour, benefitting 100 families in his district.